Microsoft today launches two new products Windows Essential Business Server 2008 and Windows Small Business Server 2008 software for small and medium sized business. Windows Small Business Server 2008 is an all-in-one server solution designed to help keep data more secure and a company more productive. 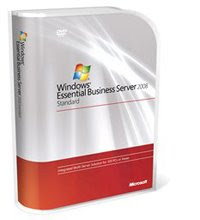 Windows Essential Business Server 2008 is an enterprise-class server solution designed and priced for midsize businesses.